It was my great pleasure to read with Stephanie Pressman and Amanda Williamsen last night at the first of this year’s “Unsung Holiday” poetry readings. Stephanie took the theme of foolin’ around very seriously with her jester-ly costume and thought provoking philosophically tricky poems. Amanda made us all laugh with memories of our unfortunate teenage years and bad kitchen smells. 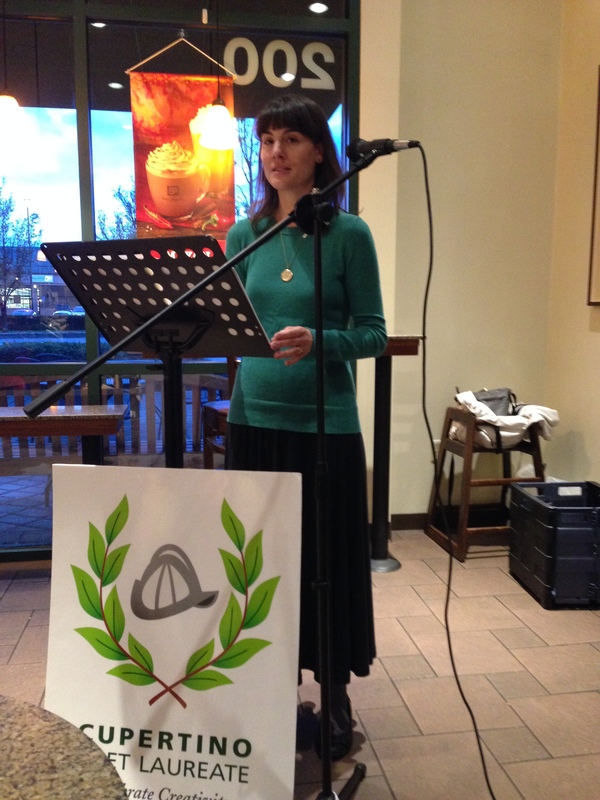 There were four open-mic readers, which was pretty good considering the miserably rainy night. 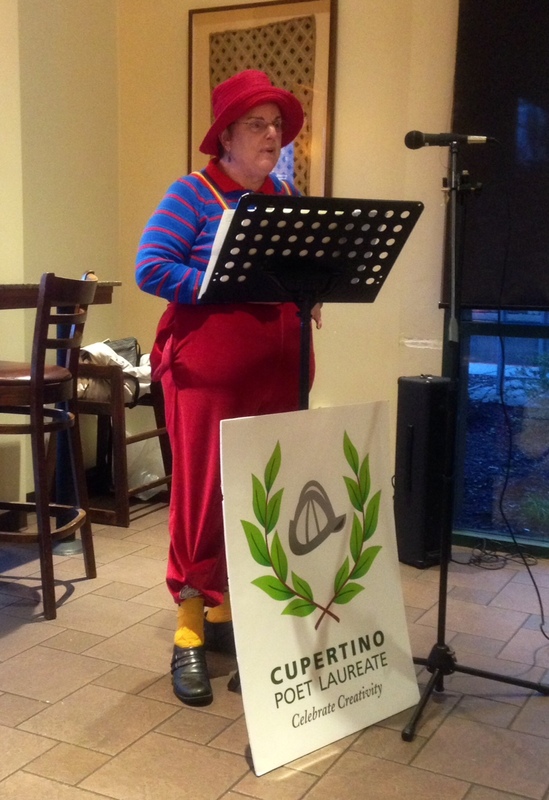 Thanks again to Peet’s for their generosity and warm space, and to my poetry “posse” (Roz, Kathy and Adrian) from the Cupertino Library Foundation, the Friends of the Cupertino Library, and the Cupertino Library Commission. Special thanks to Dave Denny — without whom I’m sure I would still be standing there fussing with the audio equipment — for the photos.